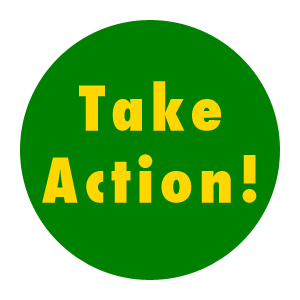 Action Alert: Tell your Senator to vote YES on Tester Amendments! Speak up for farmers, not agribusiness. As we alerted you yesterday, Monsanto and Agribusiness companies have managed to insert two dangerous provisions into the Continuing Resolution (“CR”) that is about to be voted on by the U.S. Senate. The first provision is the “Monsanto rider” that destroys the few protections that currently exist against the planting of new genetically engineered crops. The second provision will allow giant Agribusiness companies to continue abusive and deceptive practices that hurt livestock and poultry farmers. The good news is that Senator Jon Tester (D-MT) is introducing amendments to strike both of these riders! Can you take a few minutes to call your U.S. Senators today to urge them to support the Tester Amendments? The vote is likely to occur this afternoon (Thursday, March 14), so we need your help right now! Contact both of your U.S. Senators, and urge them to support the Tester Amendments and strike both of these riders. My name is _______, and I am a constituent. I am calling to ask that Senator _______ support both of the Tester Amendments to strike the biotech and anti-competitive riders from the Senate Continuing Resolution. The Tester Amendments protect family farmers from abuses by the meat industry and support review of biotechnology products. These two amendments will stand up for family farmers, ensure that independent producers have a fair chance in the livestock market, and ensure that courts can review biotechnology products Please vote yes on the Tester Amendments.